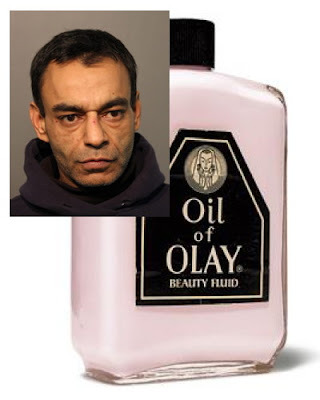 A man who brandished a syringe when Jewel-Osco security tried to stop him from stealing $544 worth of Oil of Olay last November has been sentenced to six-years in prison. Malhotra pleaded guilty to 3 robbery counts this week. 50-year-old Sanjay Malhotra of Garfield Park was also convicted of robbing two suburban stores last autumn while armed with a needle. He received concurrent sentences of six-years for each of those. Lakeview cops were called to the Jewel store at 2940 North Ashland around 10 p.m. on November 18 after store security reported that they had detained a man for shoplifting. Jewel security told officers that they saw Malhotra load 20 boxes of Oil of Olay products into two canvas bags and then head for the exit. When security stopped Malhotra near the front door, Malhotra began to struggle with the guard and then brandished a syringe while threatening to stab the agent, prosecutors said. Prosecutors charged him with armed robbery, aggravated battery of a merchant, and retail theft of more than $300. In a bizarre coincidence, one week before Malhotra was arrested, another man was taken into custody for trying to steal $1,100 worth of Oil of Olay from Mariano’s at 3030 North Broadway. 27-year-old William Mayor Jr. of North Center was sentenced to 27 months in prison for that case in April.